Dr. Chris Michailidis practices a unique style of Chiropractic. He integrates multiple passive and active modalities to effectively help patients with both sports injuries and chronic health issues that have been challenging to resolve. He utilizes a patient-centered approach where together with the patient they address the biomechanical, biochemical and mental-emotional factors that need to be influenced for successful outcomes. 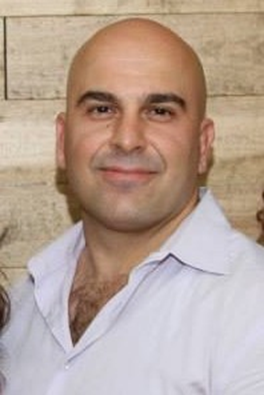 Specifically, Dr. Chris Michailidis utilizes neurofunctional acupuncture, advanced myofascial soft tissue techniques, exercise programming, nutritional programming, and an active listening ear for a complete and effective mind and body treatment. Dr. Michailidis’ approach to health is evidence-informed, and has been influenced by the many courses and educational programs he has participated in pursuit of clinical excellence for his patients. He has a kinesiology degree and chiropractic degree, and advanced neurofunctional certification from McMaster and has spent the last 20 years in strength and conditioning, developing true credibility to be a movement expert. He also spent a year at the transpersonal psychotherapy institute, and studied interpersonal neurobiology, and really understands how the mind and soul can influence the body and our health. Many patients find this approach a relief and enlightening. Dr. Michailidis lives the lifestyle he encourages his patients to adopt. He was always active and athletic and excelled in a variety of sports. He played University football where he was invited to play in the CIS East-West bowl for top prospects in the CIS. Currently, Dr. Michailidis works out and avidly participates in Jiu Jitsu. He is a proud father of 2 girls and husband to his beautiful wife, and they love being outdoor and active together as a family.